Time to post another bug in the autocomplete data. 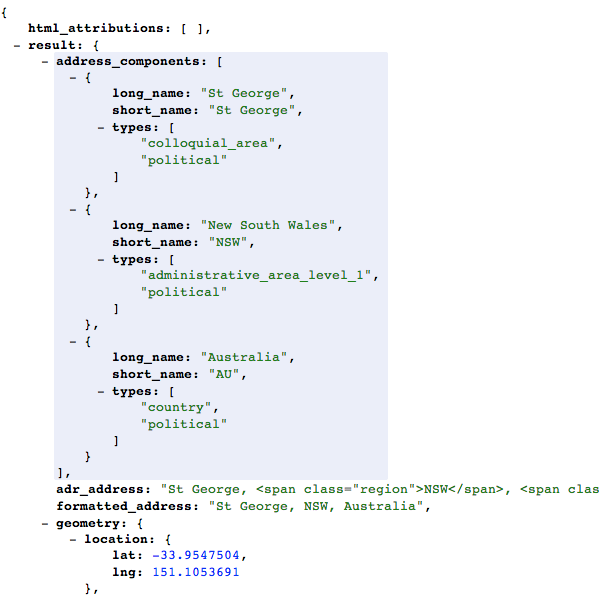 This one happens when you do an autocomplete request for "George St" when you are in the Sydney CBD. Unfortunately when you go to resolve this location reference id, you get the center of the St George region. Definitely not the place I was looking for. 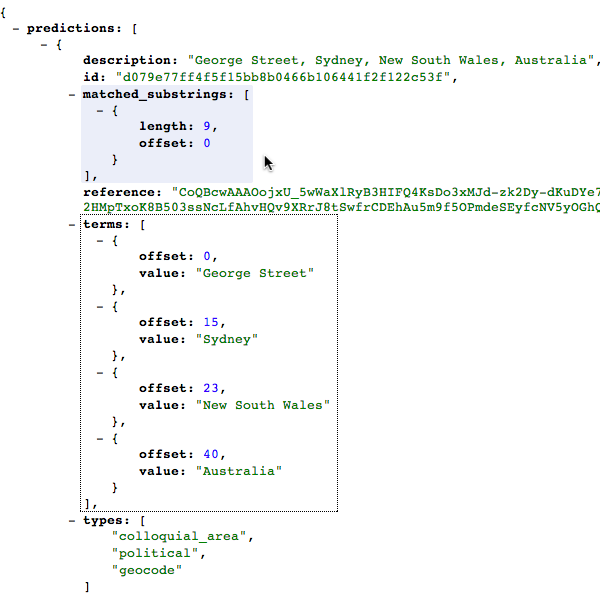 The predictions that follow St George in the array are George Streets in Redfern, Parramatta, North Strathfield and Liverpool, but not George Street in the Sydney CBD.